My review of I don’t want to live, I don’t want to die – an exhibition in five acts by YEARS is online on Mousse Magazine. Things as they are seen is online on Vogue Italia. My own little personal homage to Sandberg, who passed away on February 5th five years ago. Issue #324 of Flash Art – International Edition is out now. Inside you can find my review of the solo show The Same Different by Rosamarie Trockel at Moderna Museet in Malmø. The article is also available at this link. A truthful exchange of goals, plans and ideas is a precious part of the artistic practice and needs the right frame to flourish. Therefore I am delighted to join Portfolio Dialogue, an online platform established to allow a deep, focussed and effective meeting between artists and reviewers. Happening online and all year round, Portfolio Dialogue makes the portfolio review format independent from specificity of time and space, overrides its often awkward speed-date configuration and brings it closer to a real dialogue between the two parts. Archivio Magazine #3 – The Americana Issue is out now. The cover story is my article ‘The Power of Beauty’ about the evolution of the black female imagery seen through the Johnson Publishing Company’s photographic archive. My thoughts about the show of the year at SMK – Statens Museum for Kunst in Copenhagen. Ferox – The Forgotten Archives 1976-2010 is a fictional project by Swiss photographer and graphic designer Nicolas Polli and co-published by Ciao Press and Skinnerboox. With this archive of photographs, Nicolas tries to push the boundaries between reality and fiction, exploring the kind of information we require to trust an image. I wrote a text for the book under the pseudonym of John Fergusson. You can read the text here. The Artistic & Curatorial Thing organized by SixtyEight Art Institute in Copenhagen runs Aug 28-31 with a program of morning workshops and lectures for the summer school’s participants and a series of evening public talks open to all. EC1 24H Copenhagen 2018 has been invited to kick off the program by presenting our experience in curating the exhibition project ad we look very much forward to it! The catalogue of the show LANDSCAPE MODERN OIL PAINTING CANVAS PAINTING ABSTRACT OIL PAINTING WALL HANGING is out! Lay-out by Wrong Studio, with texts by Jacob Fabricius and me. LMOPCPAOPWH was curated by Jir Sandel at Galleri Benoni, Copenhagen, in June 2017. 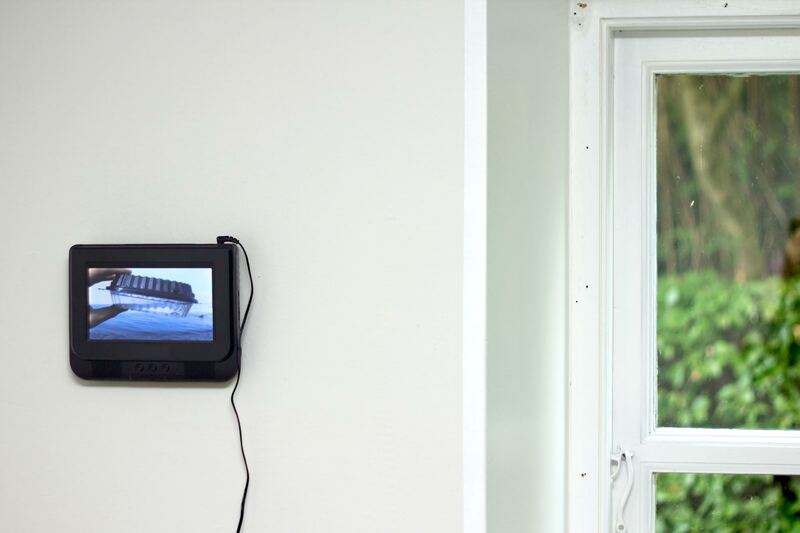 I am part of the group show “Connected by the Hand” at Henie Onstad Kunstsenter together with Magnus Frederik Clausen, Nora Joung, Kamilla Langeland, Mads Lindberg, Martin Lukáč and Ilija Wyller. The show is curated by Kenneth Alme. My piece ‘The Art of the Trial’ on courtroom art is live on WePresent, accompanied by stunning images from The Library of Congress in Washington DC. I have exchanged a few words with Giorgio Di Noto about his approach to photography and his show ‘Sulla distanza delle immagini’ currently on display at Matèria gallery in Rome. Issue #321 of Flash Art – International Edition is out now. Inside you can find my review of the solo show OUT by Judith Hopf at Statens Museum for Kunst in Copenhagen. YET magazine has been awarded with the Swiss Design Awards in the category Mediation, YAY! I’m really proud to be part of this dream team of incredible people: Salvatore, Nicolas, Elena, Davide and Leonardo! I was invited to review portfolios by Copenhagen Photo Festival – looking forward to see new exciting bodies of work! I wrote a few words about ‘RAL 6002’ – the new site-specific artwork by Magnus Frederik Clausen that is part of a double solo show with ‘Probably’ by Rasmus Høj Mygind at CGK Centre for Contemporary Art in Copenhagen. The show is part of Copenhagen Art Week. My text about the project Constructions by Taiyo Onorato & Nico Krebs has been translated to German for the catalogue of Darmstädter Tage der Fotografie 2018. The catalogue is available at dtdf.de. EC1 24H Copenhagen 2018 – Opening today! I was invited to take part to the opening of Riga Photography Biennial as part of the jury of the ‘Seeking the Latest in Photography’ 2018 Award. The theme of this year’s Biennial is self-awareness – who we are and who we choose to become. It will be the occasion to visit my good friends from ISSP, where I will review the projects of the students. The Backup Project by Christiane Peschek & Tiago Casanova is not ‘just’ a book, so what I wrote for Yet magazine is not a ‘proper’ book review 🙃 BTW, The Backup Project runs out in 33 days! (but the review stays). Over the next months, Yet magazine will host a series of interviews with the recipients of the PHmuseum 2017 Women Photographers Grant. We start with my interview with Fabiola Cedillo, winner of the New Generation Prize. Shaking the Habitual: what is your Utopia? is a 4-month season rich of guests, workshops, performances and events that will explore what a future without patriarchy might be. Spanish artist Yolanda Dominguez and I will contribute with Gym Win Session: a workshop and lecture on female empowerment through body (re)presentation that will take place on June 2nd, 2018*. On March 3rd, Shaking the Habitual: what is your Utopia? is launched with the opening of the first exhibition and a collective reading of utopian manifestos by the participants in the program. The silly chilli was written for and read on that occasion. *Note on May 31st, 2018: “The Gym Win Session” has been cancelled due to incompatibility with the artist’s schedule. EC1 24H Copenhagen excited to contribute to SMK Fridays “Art in the Making“, taking place at Statens Museum for Kunst in Copenhagen on February 9th, 2018, from 4 to 10 PM. For this occasion EC1 will present two site-specific and constant changing installations by Marie Dahl and Alex Mørch and three performances by Runa Norheim, Kristian Hverring and Maria Nadia. During the evening the artworks and performances will develop in relation to each other, making it possible to the audience to witness the act of creating in its develeopment. The participating artists will be part of EC1 24H Copenhagen this spring, which is why this event is a chance of getting a sneak peek of the project! EC1 24H Copenhagen 2018 has a website! Please feel free to surf it at ec124h.wordpress.com. Here you can find info about the participating artists and curators, discover the 21-day programme and keep updated on the news – starting from tonight’s event SMK Fridays feat. Frost Festival: Art in the Making, where we’ll offer a small preview of the project that will take place in spring! For the ones in Copenhagen: we hope to see many of you tonight ✨ For all others, keep on following us – much more to come🎈 Love! YET magazine turns 5 today! It feels like yesterday, but looking back it’s clear that the baby is not a baby any longer (sniff). We made up a small thing to celebrate this milestone together You can unwrap it at www.yet-magazine.com/shop. Today and always, grazie for the love! I’ll be in conversation with Tiago Casanova to present The Backup Project, his new book made in collaboration with Christiane Peschek. The Backup Project is a conceptual and interactive photobook project that plays around the subject of total accessibility of the personal photographic archive. It is a reflection on photography, archive, memory and photobooks. See more at www.the-backup-project.com. Heading back to Rome for a cycle of events at Leporello bookshop. I’ll be working again with Giorgio Di Noto on his great project The Iceberg. Dec 16th, from 4 PM: open-house setting up of the exhibition – you are all welcome to come snooping around! Dec 17th, 10 AM – 8 PM: in-depth day with Giorgio Di Noto and Paola Paleari. We’ll go through the process of The Iceberg in its various possibilities as an installation and a publication. EC1 24H Open Call – Winners Announced! We are glad to announce the list of selected artists and curators from the Open Call for EC1 24H Copenhagen 2018! We received a great number of applications across Europe and we would like to thank all of you for your interest and support. Stay tuned for knowing more about the full list of artists and curators, the project’s dates & program and further details. In the meanwhile, happy holidays and see you in 2018! I had the chance to meet and interview British artist Gillian Wearing on the occasion of her solo show Family Stories at SMK – Statens Museum for Kunst in Copenhagen. We discussed social media, Danishness and rethinking the family model. Next issue of AF•ART Magazine is released today, with my article ‘From Venus Pudica to IG-spot’ inside and on the cover. I talk about the contemporary womanly image, feminism and social media through the works and pictures by Arvida Byström, Maja Malou Lyse, Louise Cehofski and Signe Ralkov. Together with FSK – Foreningen for Samtidskunst, I am working on EC1 24H, a new exciting project that is taking place in Copenhagen in Spring 2018. The project consists in a series of 21 different exhibitions that are executed along 21 days. This means that every day, within 24 hours, a new exhibition is created, shown and dismantled. Each exhibition is the result of a collaboration between the artist(s) and the curator(s) of each specific day. We are now looking for artists and curators that are willing to take part to EC1 24H. The Open Call runs until Dec 1st, 2017. Head to FSK website for more details. We look forward to hearing from you! My fictional writing “All Those Splashes of Color” made for the collaboration with NASA designer Erin Murphy is online www.7×7.la. 7×7 is a Los Angeles based project that invites one visual artist and one writer to engage in a two-week creative conversation. The format, inspired by Surrealist games of the early 20th century, challenges participants to improvise, in their respective disciplines, a spontaneous story that pushes into ever-wilder imaginative terrain. I will be in Santiago del Chile to take part to Impresionante • Feria de Publicaciones y Arte Impreso, happening on Oct 26-29 at MAC – Museo de Arte Contemporaneo. YET magazine has been invited by VOLUMES • Independent Art Publishing Fair and is one of the fair’s official partners this year! Spectrum is a longstanding professional imaging lab specialising in high quality fine art and photographic printing, nestled in the heart of Brighton, UK. I will take over their IG account for a few days. Follow @spectrumlab to see what’s up! My impressions/thoughts/emotions about Adam Golfer’s beautiful book A House Without A Roof published by Brooklyn Press. Online on Yet magazine website. The Iceberg by Giorgio Di Noto in a display curated by me is part of the programme of Internet Festival 2017, that take place from October 5th to 8th in Pisa, Italy. I will take part in the conference Beyond the Documentary, held at Museum of Contemporary Art in Zagreb, as part of Organ Vida festival’s program. My talk will address how the Arab Spring, ISIS and current political events have influenced the concept of war and its representation, bringing along new challenges for contemporary image-based artists. I will do so by showing projects by Giorgio Di Noto, ElementWo (Sharon Ritossa & Alba Zari), Valentina Abenavoli and Thomas Kuijpers. I was selected as a participant of The Curatorial Thing, a summer intensive workshop program which will focus on the various dimensions behind artistic and curatorial research methodologies. Workshops with: Antonia Alampi, Maria Bordorff, Iben Bach Elmstrøm, Carla Herrera-Prats, Jakob Jakobsen, Matteo Lucchetti, Lisa Nyberg. In the last week of June, I will be taking over the IG account of Duae Editions – a collective and collaborative platform based in Barcelona, operating in the field of contemporary visual researches. I will tell a bot about my practice as a curator and show around the life and artistic scene in Copenhagen. Follow me on @duae.collective to see what’s going on! I was invited by Mette Juul, teacher at KBH Film & Fotoskole, to review the final projects of the students. It’s gonna be a full day and I look forward to seeing new exciting bodies of work! Mercoledì 3 maggio, alle 19.00 all’interno della mostra ANTOLOGIA, allestita negli spazi di Metronom fino al 3 giugno 2017, Paola Paleari e Giorgio di Noto saranno a disposizione del pubblico per una sessione di Question & Answer, in ideale approfondimento su alcune tematiche che accomunano gli autori di più giovane generazione, partendo da alcuni punti nodali del testo critico di Paleari ‘Mondo come oggetto’, realizzato come una riflessione trasversale su alcune opere di Annabel Elgar, Christto&Andrew e The Cool Couple. The collective exhibition, conceived as an expansion of Generazione Critica project, is the result of the collaboration between Alessandro Carrer, Sergio Giusti and me. Metronom asked us curators to read into the gallery’s recent history as a starting point for the construction of critical dialogues connecting the productions by different artists. 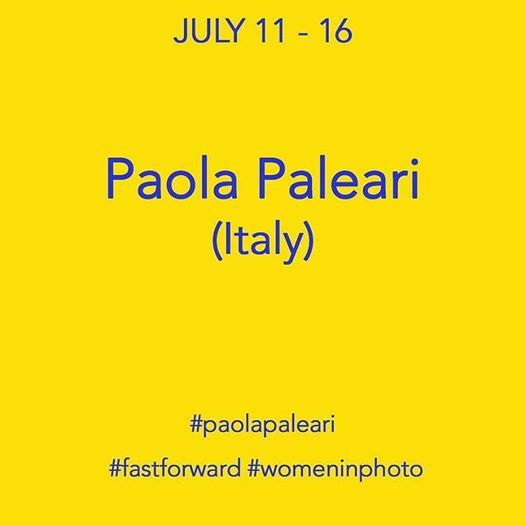 The show presents artworks by Fabrizio Bellomo, Christto&Andrew, Martina Della Valle, Annabel Elgar, Sanna Kannisto, Taisuke Koyama, Alberto Sinigaglia and The Cool Couple. The interactive show based on animated GIF will take place on www.anmgallery.com. An offline version of ‘Snakes and Ladders’ in form of a movie trailer will be projected in cinema halls Kino Bize, Splendid Palace and K. Suns in Riga from 08.04. to 15.04. before the regular repertoire screenings. The show is one of Riga Photography Biennial off-year events. I will be in Los Angeles with YET magazine and 5 other independent Swiss publishers. Join us at The Geffen Contemporary at MOCA! TALK: The blended age. The deepening intersection between documentary, artistic and conceptual photography. I am part of the jury at The Portfolio Review happening during Duesseldorf Photo Weekend. YET #10 on teaching photography officially launched in Paris! Come and meet us at Offprint and Polycopies. Massimiliano Tommaso Rezza’s presentation will revolve around the ideas that have led to the creation of his book ATEM (Yard Press). A social dinner and a slideshow night, organized by Sedici, will take place at spazio chì-na in Prato (Italy). On that occasion, the winners of Slideluck Prato will be announced out of a a shortlist of 20 selected authors. I will be in the jury together with YET magazine, see you there! YET #10 is ready to pre-order! I am happy to announce that the pre-order for issue #10 is now open. This upcoming issue focuses on a “hot” topic, that is, photography education today. What does learning and teaching photography at a professional level mean, today? This is the main (uncomfortable) question we started from. We decided not to look for the answers ourselves, but to let the schools tell us their reasons why. After a screening of educational programmes scattered all over the world, we gave carte blanche to a shortlist of 11 schools, asking each of them to accept the challenge of self-presenting their programmes through their own distinctive language and approach. The result is a rich, diverse, manifold issue, where different written and visual languages pass each other the baton and where the topic is subdivided into sundry explorations of the mechanisms of vision, perception, communication, composition and narration. It is not an easy issue, but hopefully a useful one. Support YET, pre-order your copy here! I’m in the jury of Slideluck Prato with YET magazine. Slideluck Prato is organised by Sedici and will take place on September 30th in Prato (Italy). Slideluck Prato is now welcoming photographic bodies of work and multimedia submissions on the theme MAPPING. Thanks Annakarin Quinto for organising it all! The Focus on CPH starts today on YET magazine! Along all summer I’ll be presenting a selection of photographers, publishers and curators based in Copenhagen, Denmark. Preview of the book Generazione Critica #3. Fotografia, tecnica e arte (Danilo Montanari Editore, 2016). The book contains the essays by the lecturers that took part in the third edition of Generazione Critica, held in October 2015 at Metronom: Frida Carazzato, Discipula, Sara Dolfi Agostini, Giorgio di Noto, Paola Paleari, Luca Panaro, Valerio Rocco Orlando ed Elena Giulia Rossi. The catalogue of the exhibition Czech Fundamental. Czech avant-garde and contemporary photography 1920 – present, that I co-curated last year at Museo di Roma in Trastevere, is finally out! For three weeks I’ll be writing, studying and excursioning at Ole Haslunds Kunstnerfond in North Zealand, Denmark. Jeg glæder mig til det! 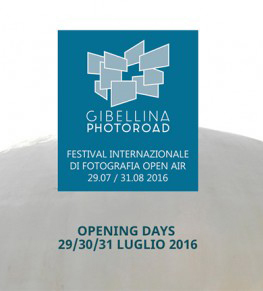 Gibellina PhotoRoad- International Open Air Photography Festival invites photographers, artists and curators to apply to the call for a site-specific installation/ exhibition that will take place in Gibellina (Sicily) from 29th July 29th to August 31st, 2016. I’m part of the jury together with Mirjam Kooiman (Curator at Foam- Fotografiemuseum, Amsterdam), Renata Ferri (Photo editor Io Donna), Niccolò Fano (Materia Gallery, Rome), Arianna Catania (Artistic Director Gibellina Photoroad) and Enzo Fiammetta (Director of Museum Fondazione Orestiadi). We are looking for projects that, by exploring the different languages of photography as a creative medium, create a dialogue the theme of the Festival: DISORDER. After that date I’ll have the pleasure to select participants as part of this lovely team: – Louise Clements (director, FORMAT Festival/artistic director, QUAD, UK) – AnnChristin Bertrand (curator, C/O Berlin, DE) – Anastasiia Fedorova (editor, The Calvert Journal, UK) and last but not least my fellow Salvatore Vitale (editor, YET Magazine, CH). The workshops will take place August 6 – 14 in lovely Kuldīga (LV) and will be lead by Anouk Kruithof, Paolo Woods, Federico Clavarino, Jason Evans, Alejandro Chaskielberg and Taiyo Onorato. Una serata a sostegno dell’associazione che vede la partecipazione di numerosi artisti, performer e musicisti della scena romana. Con Gruppo Dynamis, Rév, Kleine Cahos, DJ CRR WRST, Annabella Cuomo, Anahi Mariotti e 86.HaloStreet. A 4-day festival and 3-week exhibition of/about artists’ books, taking place in different venues in Copenhagen. The event features a free and open to the public one-day seminar, a group exhibition curated by 13 participating publishers, a book fair on the opening weekend and networking events. Alexander Mihalkovic’s work is on display at the Gallery of Classical Photography (Moscow) until March 13th. My critical text Trial and Error is part of the show. Yes. After 5 years in Rome, I left Italy again. My intention is to carry on a research project about the photographic scene here in Denmark, in particular about the relationship between photography and other artistic disciplines. So Danes, don’t be shy, I need your help! Last November, an intense brainstorming session about photobooks and archives happened at the cozy and passionate bookshop Le Monte-en-l’air in Paris, for the first edition of PUNTO de FUGA. My interviews with Lewis Bush, Susanne Kriemann, Massimiliano Tommaso Rezza, Linda Jensen and the people of Comets at Counter Space, Tariq Heyboer and Mikel Orfanos are now available to read on Punto de Fuga’s website. Thomas Albdorf (YET issue 02) and Esther Hovers (YET issue 09) are among the selected photographers. I recently discovered that my interview with Pablo Mesa Capella La fotografia che parla, published on artnoise.it in July 2013, was included in the book San Lorenzo. Luoghi, storie e memorie by R. De Salvia and R. Galluzzi, published by Edizioni Ponte Sisto (Rome). Many appointments will take place during Paris Photo! Nov 12th-15th / YET magazine will take part to OFFPRINT 2015. We will be launching Archive 01-09, our first photobook! 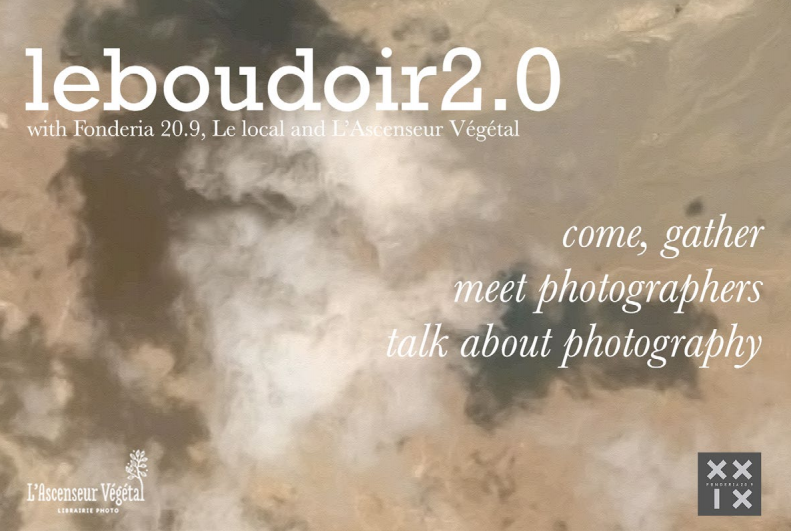 Sunday Nov 15th / I will be representing YET magazine during the Wild Dummy Reviews organized by Le PhotobookFest. Monday Nov 16th / I will curate the last day of Punto de Fuga, an experimental platform dedicated to the photobook that offers a 5-days series of open meetings during Paris Photo. Day 5 will revolve around to the relationship between the archive and the photobook and will see the participation of Lewis Bush; Daniel Gustav Cramer & Haris Epaminonda; Tariq Heyboer & Mikel H. Orfanos; Linda Jensen, Roland Lüthi & Ursula Sulser; Hester Keijser; Susanne Kriemann; Massimiliano Tommaso Rezza. All the details at the links above… and more to come! Generazione Critica #3 will revolve around the relationship between the new media and contemporary artistic processes. In my intervention I will bring the works by Enrico Piras & Enrico Pitzianti (asa nisi masa), Andres Donadio and Manon Wertenbroek (YET #8) as examples of a new aesthetic of displacement. You’ll find me at both at Unseen Book Market and around the city (as long as my twisted ankle will allow me to). Sweet Latvian Summer! I’m an Evaluation Committee Member for this year edition of ISSP and a Portfolio Reviewer with YET magazine. The 10th anniversary edition of the International Summer School of Photography will host masterclasses by Jim Goldberg, Alessandra Sanguinetti, Anna Fox, Alexander Gronsky, Takashi Homma and a bookmaking class by Akina Books & Nico Baumgarten. 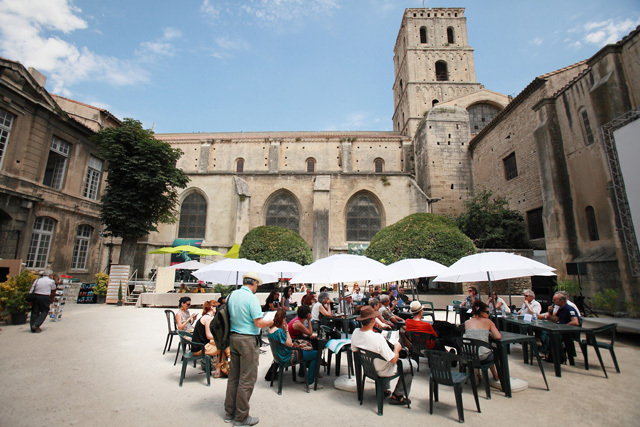 A critical discussion between Paola Paleari and Massimiliano T. Rezza, hosted by leboudoir2.0, in conjuction with Les Rencontres de la Photographie, Arles 2015. Focus: EDGES. On the borders between contemporary art and photography. Focus: INDEX. A glimpse into the contemporary way of documenting. Issue #6 / Focus: On Evolution and Photography.